In September, Clement J. McDonald, MD, NLM’s director of the Lister Hill National Center for Biomedical Communications (LHNCBC), and a pioneer in electronic medical record systems, received the President’s Medal for Excellence from Indiana University, its highest honor. Internationally respected for the development and use of computer-stored medical records systems to improve health care, McDonald was Regenstrief Professor of Medical Informatics at the IU School of Medicine and director of the Regenstrief Institute for Health Care prior to joining the NLM. McDonald developed one of the nation’s first electronic medical record systems, the Regenstrief Medical Record System. Additionally, he established the next generation of electronic medical record systems, the Indiana Network for Patient Care, a community-wide informatics network that spans all five major hospital systems in Indianapolis. He has led in the development of the medical informatics standards necessary for transmitting patient data from source systems to electronic medical records and research databases. He was one of the founders of the Health Level 7 (HL7) standards, which guide electronic data interchange in health care, and he also developed the Logical Observation Identifier Names and Codes (LOINC) database of universal codes for clinical observations, including laboratory tests, clinical measurements and reporting. 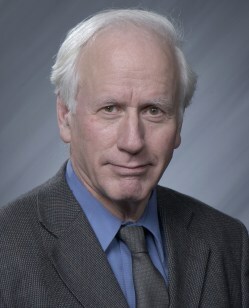 He is a member of the Institute of Medicine and recipient of the Morris F. Collen Award from the American College of Medical Informatics, among many honors. He currently serves on the Board of the American College of Physicians. He is a past president the American Medical Informatics Association and a past member of the NLM Board of Regents. September 1, 2009 in People, Standards.